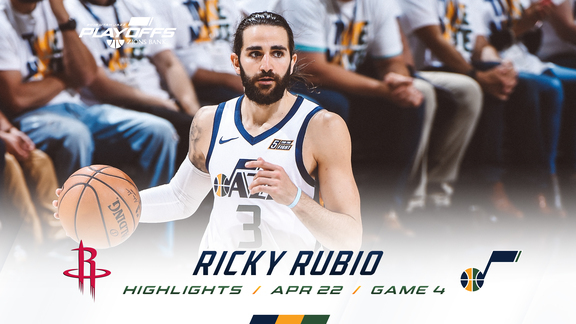 The 2019 Utah Jazz Playoffs presented by Zions Bank will deliver First Round home games against Houston on Saturday, April 20, at 8:30 p.m. (MT) and Monday, April 22, at 8:30 p.m. (MT) with special T-shirts, interactive Utah Jazz street art, an outdoor fan festival on the Vivint Smart Home Arena plaza and other unique postseason activities. Zions Bank returns for its second season fully supporting the Utah Jazz playoff run, building on last postseason’s exciting fan engagement with outdoor and in-arena experiences. 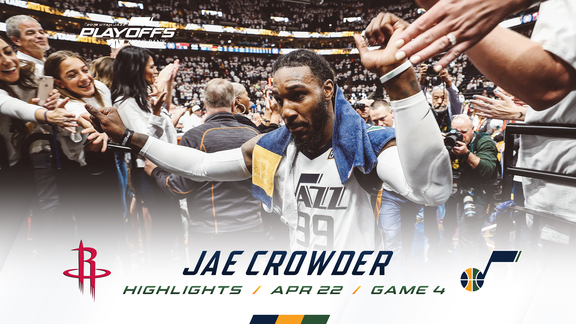 Tickets are on sale now for the First Round of the 2019 NBA Playoffs online at utahjazz.com, the Utah Jazz mobile app, ticketmaster.com or at Vivint Smart Home Arena’s box office. Ticketmaster is the official ticket resale partner for Utah Jazz tickets, providing fans with a safe and secure marketplace to buy, sell and transfer verified tickets. Tickets purchased from any other source may not be valid. The popular City Edition court and uniforms will be featured in the first Jazz home playoff game. Three different colored T-shirts in the red rock spectrum with the “Take Note” slogan displayed on the front will be placed on each chair at the 18,306-seat facility for fans to wear in a colorful kaleidoscope. The Jazz will wear their Association Edition white uniforms for their second home playoff game, with all fans receiving corresponding white Zions Bank “Take Note” playoff shirts. New this year, the team has launched the Jazz Swag Wagon, which will travel across the Wasatch Front from April 12-18 to create excitement for the postseason. It will include a DJ, games, activities, free Jazz merchandise, interactive photo and social media opportunities, and a raffle to win a pair of playoff tickets each day. For more information on the Swag Wagon, visit JazzSwagWagon.com and follow @UtahJazz on Twitter. In addition, for the first two home games of the First Round, a replica of the Utah Jazz 40 Seasons mural at the Zions Bank location on Main Street in downtown Salt Lake City will be depicted on a truck parked outside Vivint Smart Home Arena. Fans will have the opportunity to color in the mural on the outside of the truck and receive a screen print of a Jazz mural inside the vehicle courtesy of THE BLOCKS, an organization that promotes the creative community in Salt Lake City. Trent Call, who created the 40 Seasons mural, has been commissioned to design a temporary wood-paneled Jazz installation for the playoffs. The mural will be located inside Vivint Smart Home Arena near the main entrance by the porch. The Jazz will again hold a “Fan Fest” on the plaza of Vivint Smart Home Arena, starting two hours before tipoff. 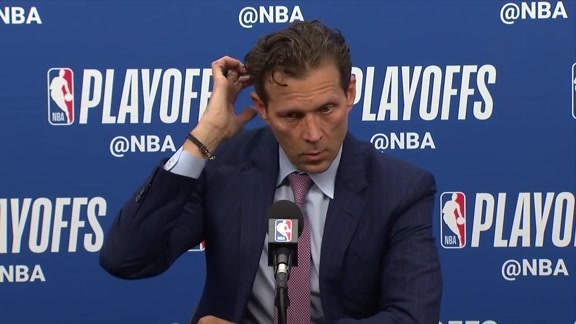 The Utah Jazz television broadcast set, featuring Alema Harrington, Thurl Bailey, Mike Smith and the entire Jazz broadcast team, will be relocated to the plaza. Jazz playoff apparel and merchandise will be available in a pop-up Utah Jazz Team Store. Additional areas will have a beer garden, face painters, balloon artists, sign makers, food trucks, photo station and DJ music. A massive 101-foot wide by 65-foot high banner will be unfurled by the fans over three sections of the lower bowl prior to tip-off. New playoff logos and graphics will adorn the building windows and concourse signage. Doors to Vivint Smart Home Arena will open two hours prior to gametime. 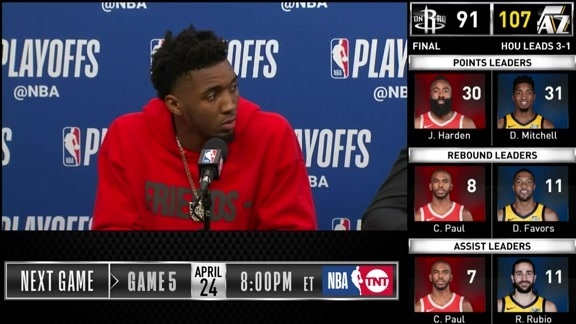 Semifinals 16 times (including each of the last two postseasons), Western Conference Finals six times, and the NBA Finals twice.